There are many individuals for whom regular soft contact lenses are not the best option. They may be ineffective in correcting vision in certain people because of ocular conditions. Some patients may require the use of scleral lenses in order to have comfortable and sharp vision. A typical contact lens rests directly on the cornea of the eye. For some individuals, this can be uncomfortable, ineffective and in some cases even damaging to the cornea. A patient whose corneas do not have a regular shape, who has suffered from eye injuries or has severe dryness or irritation of the ocular surface may not be able to wear corneal lenses. The scleral lens solves this problem by limiting contact with the cornea. Most of the lens rests on the sclera or the white portion of the eye. The center of the lens remains close to but above the cornea, creating a “vault.” Inside this space, preservative-free saline solution and natural tears fill the empty space, lubricating the eye, improving comfort, and provide clear and comfortable vision. Come in to our Weston location for an eye exam and scleral lens fitting. What are the key benefits of scleral lenses? Improved comfort, vision and restoration of the ocular surface are the main reasons optometrists suggest scleral lenses today. 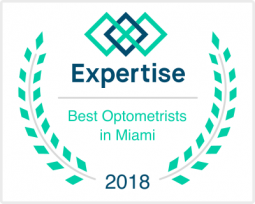 For patients who have experienced poor results with other types of contact lenses or glasses, this choice provides a wonderful opportunity for corrected and comfortable vision. Their ability to provide results in individuals with a wide range of severe ocular conditions, and for any levels of astigmatismor refractive error have made them an increasingly popular choice. They generally yield superior vision for patients whose needs cannot be met with other traditional options. Due to their larger diameter, scleral lenses are also harder to “lose” due to dislocation. In fact, most patients report very noproblems with lens dislocation. Are scleral lenses the best fit? The best candidates for scleral lenses are individuals who cannot yield satisfactory results with glasses or regular contact lenses. However, even patients with regular corneas can derive benefits from these lenses. For example, they may help those with sub-optimal refractive surgery results achieve the visual acuity they need. Individuals with chronic dry eyes, a history of eye-related problems, or some other medical conditions may benefit from scleral lenses. Patients who do not have any corneal irregularities and might otherwise use regular soft contact lenses can still opt for a scleral lens fitting. Patients may find them to be more comfortable compared to other options. This is especially true for patients who experience eye strain as a result of professions that involve many hours in front of the computer. These patients may experience eye fatigue and strain when using the computer because the ocular surface can dry out. Because the scleral lens hydrates the ocular surface the entire time it is being worn, it can be a very comfortable option for these patients. Are scleral lenses the right choice for you? For patients who’ve experienced persistent discomfort with regular contact lenses or other issues related to the health of their eyes, this choice can be a superior option. 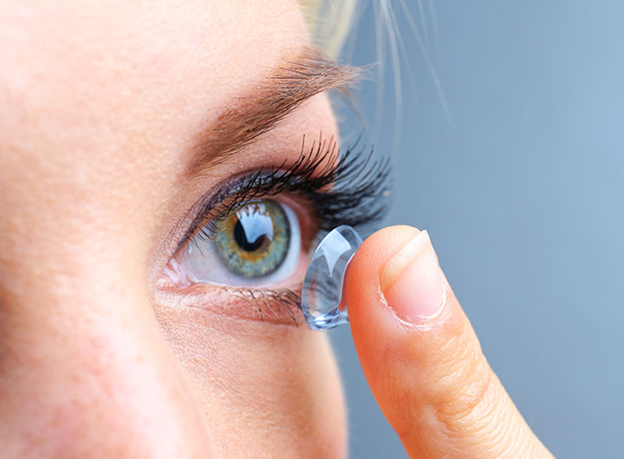 For others, soft contact lenses may still be the right choice. Discussing these options with your optometrist can help you to make the best decision for your eyes. We are located in Weston, FL. Please make an appointment for your scleral lens fitting with us today!